A very rich flavoured variety, with golden flesh. 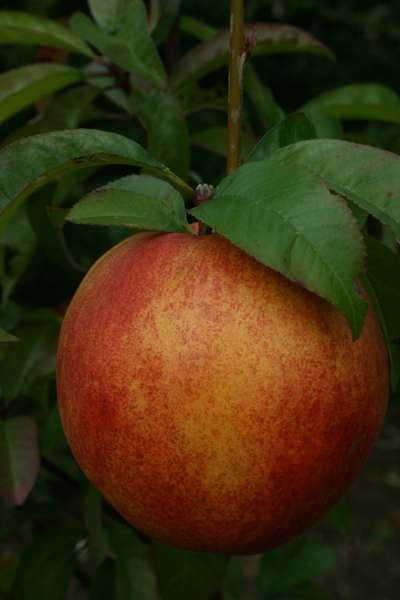 The medium to large fruits are yellow orange with a dark crimson flush. An exceptionally heavy cropper that ripens in late August.